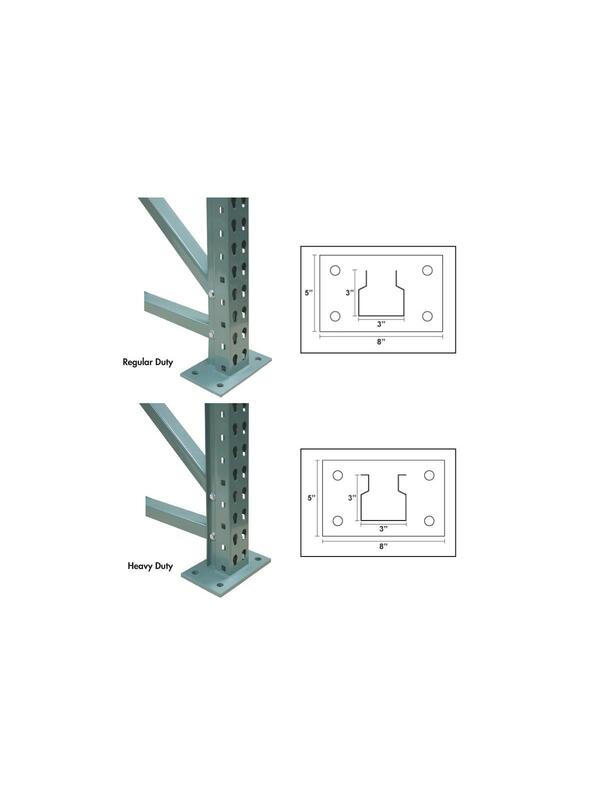 Featuring a 3" x 3" standard column design and 5" x 8" base plate. 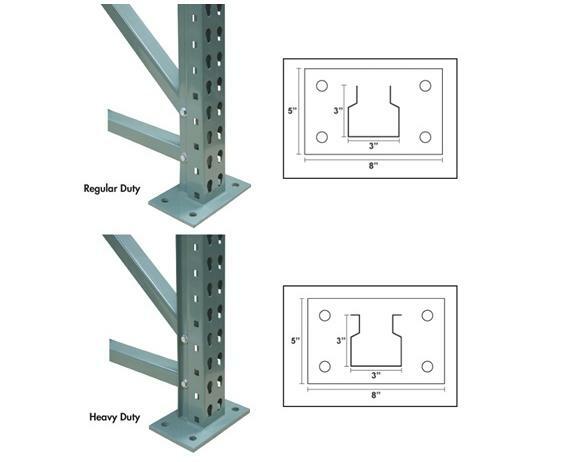 Regular duty uprights are constructed of 16 gauge steel and provides 16,100 lb. capacity per upright. 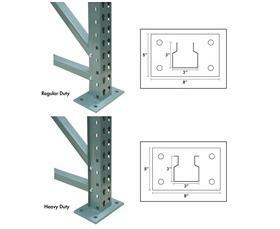 Heavy duty uprights feature a 23,300 lb. 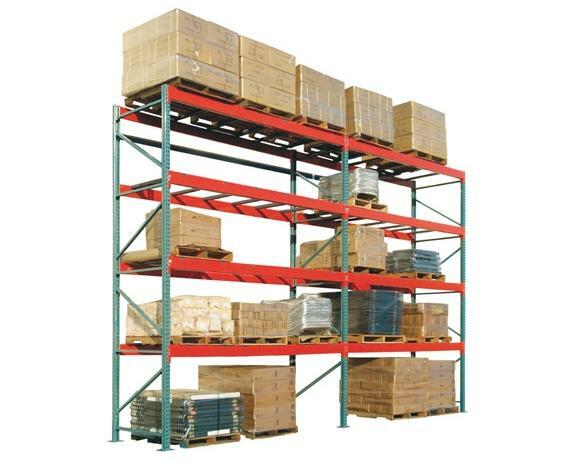 capacity and are constructed from 14 gauge steel (regular and heavy duty capacities are based upon a maximum shelf spacing of 36"). Uprights utilize a bolt together design. Beams can be adjusted every 2". Light Green in color. FOB Shipping Point. See Related Items tab for Jaken Pallet Rack Step Loam Beams, Jaken Pallet Rack Wire Mesh Decking and Jaken Pallet Rack Accessories.